The first thing you will need to do to enable Sage Pay within Sage One is to log in using the credentials we have sent you. You can do this by going to uk.sageone.com and selecting login. Once logged you will see the main user interface that you can use to enable Sage Pay. 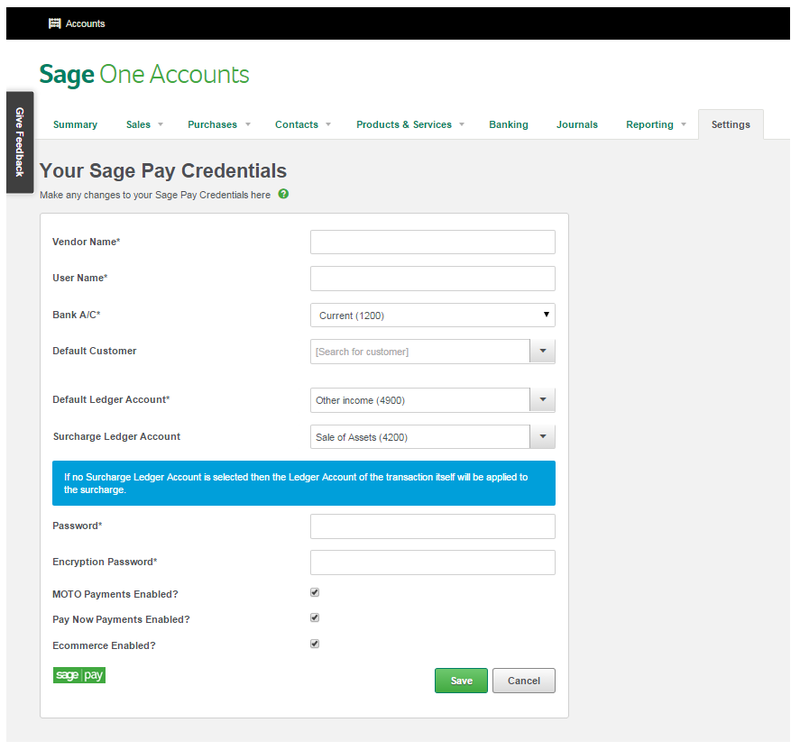 From this screen you will need to select the “Settings” option to being enabling Sage Pay on your account. Settings can be opened by selecting the “cog” from the menu bar along the very top of the screen. After opening “settings” you will be presented with 2 options. My Sage One – here you can manage all of the users that are currently active on your account. Accounts Extra – this section allows you to manage your Financial Settings, Opening Balances, and Business preferences. You will need to select Accounts Extra in order to enable Sage Pay on your account. You will then need to select Credit Card & Customer Payments. 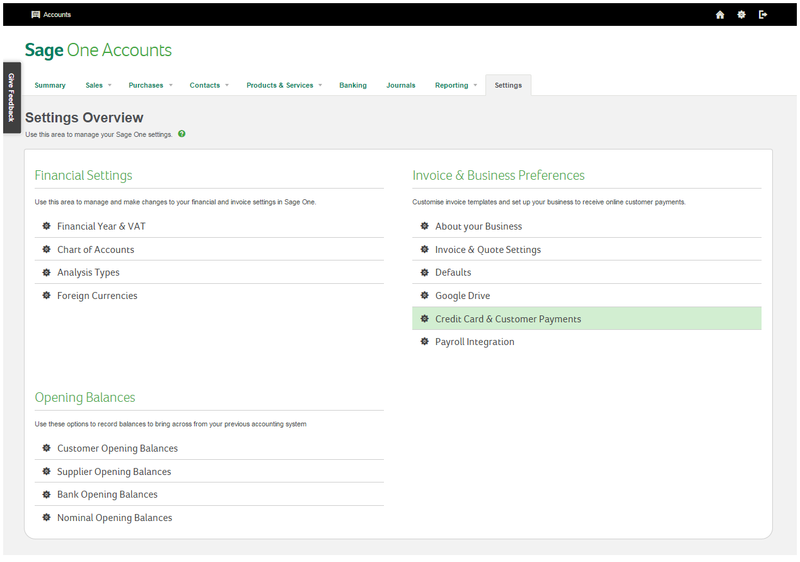 This will open the Sage Pay Credentials screen where you can enter the details of your Sage Pay account. Vendor Name – your Sage Pay Vendor Name . User Name – a user name you have created to be used with your Sage One accounts. Password – the password you have created for the user details entered. Encryption Password – your Sage Pay encryption password. 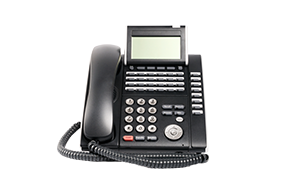 MOTO Payments – if you would like to process telephone payments. 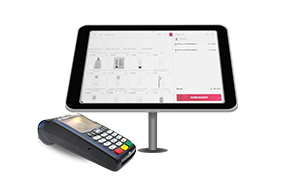 Pay Now Payments – if you would like to process Invoice Payments. 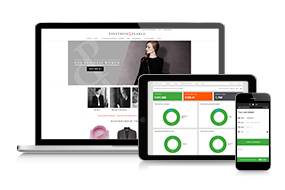 Ecommerce – if you would like Sage One to download your Sage Pay ecommerce transactions. Find out how to create a user within your Sage Pay account and how to obtain your Sage Pay encryption password. You will also need to select the accounts and customers you would like your accounts to record your transactions too. Once done, select Save and this will enable Sage Pay within your Sage One account. You are now ready to start processing transactions.